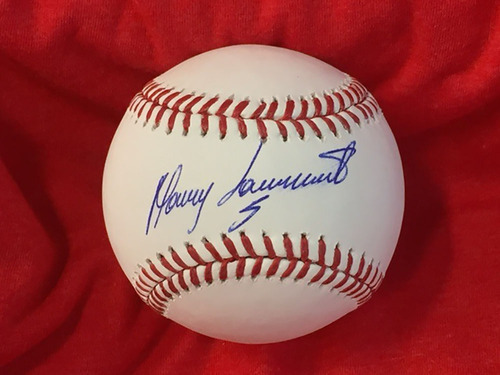 An official Major League Baseball signed by Manny Sarmiento. A member of the Big Red Machine's pitching staff from 1976-1979, Sarmiento has long been one of the toughest Reds autographs to obtain. The baseball is housed in a protective cube and includes a Certificate of Authenticty from the Reds Hall of Fame.